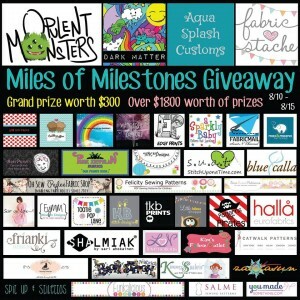 Miles of Milestones Giveaway – Everything Your Mama Made & More! Come join us for a most epic event! Over $1800 worth of prizes to be won! The grand prize winner will receive a Juki serger + $100 credit from Fabric Stache OR $67 credit each from Opulent Monsters, Dark Matter Fabrics, and Aqua Splash + $100 credit from Fabric Stache (winner’s choice). *international winner can only choose the credit. Plus HUNDREDS in Sponsor Prizes including EYMM! You can view all the details, as well as enter the giveaway with the Rafflecopter tool over on the Opulent Monsters Blog. 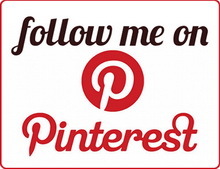 CLICK HERE FOR MORE DETAILS & TO ENTER TO WIN!